This December, UK consumers are expected to spend £13 billion online in the run-up to Christmas as online retail continues to experience growth: up 16% in 2013. Cyber Monday (1 December), the first Monday after Thanksgiving when traditionally US shoppers start their Christmas shopping, has been adopted around the world with online retailers using this marketing term to boost pre-Christmas sales. This year, 1 in 3 consumers expect to make the majority of their purchases around this date – so, get ready! But what about overseas sales and exports? If you sell online, why limit yourself to homegrown sales when consumers around the globe are also doing their Christmas shopping? Well, lots of businesses are ready to export a British Christmas to foreign shores, and not just the High Street names; small traders are too. Us Brits are forecast to export £153m worth of items this Christmas on eBay alone! There are plenty of opportunities available for online retailers, and just enough time to get set up for an international Christmas! Find an international platform: If time is running short, consider using an external platform such as eBay, Etsy, Amazon, Venda etc. to sell through. These marketplace sites will give you an immediate global audience, one that would take time to build yourself. Even so, overseas customers may still find your website, so make sure you provide clear information about international delivery and payment there too. Payment: Paypal, Worldpay, Sage Pay, Google Wallet etc. can all manage payments from overseas accounts. Some systems require a monthly subscription; others work by taking a fee on a transaction-by-transaction basis. Visit their websites to compare their rates and find the best deal for your business. International delivery: All the major postage companies will ship overseas; you just need to ensure competitive rates and a speedy delivery: 3-5 days in EU, 10-14 days rest of world. Also make sure that it’s clear when your last international posting day is, to ensure that packages arrive in time for Christmas. Promote your international offering: If you’re looking to increase overseas sales from your own website then you’ll need to market your business accordingly. In the long term you might consider website translation and localisation, as people prefer to buy from local sites first. If you’re not ready for this yet, then it’s essential to make it clear on your site that you ship overseas. You should also communicate this message across your other marketing channels: social media, online advertising, print etc. Speak their language: Although you may not have a multilingual website, there are still ways to personalise your service and go that extra mile for your international customers. 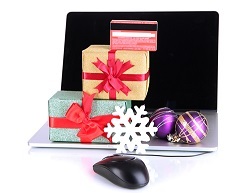 Run an email campaign promoting Christmas deliveries in the languages your mailing lists speak. Provide translations on the delivery pages of your site. Or arrange for some compliment slips to be translated into the languages you are most likely to need, thanking customers for buying from you. With only a few weeks left before Christmas you’ll need to get busy if you want to benefit from international seasonal trade. However, there is plenty of time to get ready for Christmas 2015! For e-commerce businesses looking to expand into overseas markets, it’s essential that they understand the new markets they are targeting: not just the practicalities of shipping overseas but also the culture, language and demographic of the region they plan to sell to. UKTI have various resources to help with the practicalities and at Comtec, we have the experience to help with language and culture.